I have recently signed up to receive Lisa Bevere’s blog postings. (For a detailed description of her and her husband’s ministry, visit the “Recommended Ministers” page above.) The first one I received is one of my favorite topics. I wanted to share it with you. Enjoy! “Do you know that how you see is far more important than how you look? I do, and yet for me, walking this out is a dance of daily recalibration. You see, rearranging the furniture of my life or altering my physical appearance is so much easier than daily lifting my sight. Appearance is how you and I are seen or perceived by others. As much as we have the freedom to change the way we look, we have little to almost no control over how others choose to see us. You can’t control how you are seen, but you can choose how you see. While my appearance is how my world sees me, how I see becomes my vantage point on my world. When you first turned from your sins and beheld your true image, you probably didn’t like what you saw—the remnants of the flaws, wrinkles, and blemishes of your former life. The clarification brought magnification to your shortcomings. 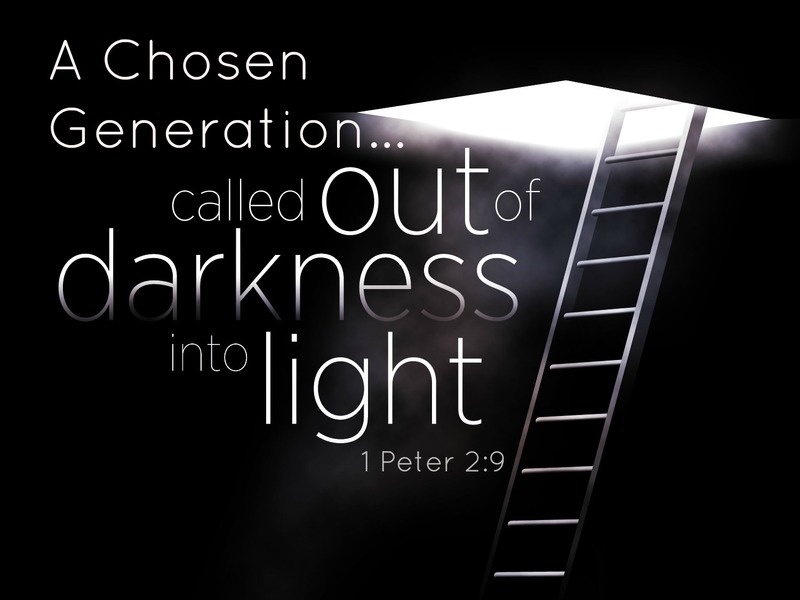 …You have been chosen by God himself…you are holy and pure, you are God’s very own—all this so that you may show to others how God called you out of the darkness into His wonderful light. The Lord wants to call you out of your cold, dark hiding place into the gentle warmth of the light of the knowledge of Him. We have boldness because of Christ. God wants us to be confident as we come before Him. He wants to transform us even more than we want to be transformed! This week, allow the Holy Spirit to open your eyes to see through the lens of His Word. He is waiting for you to turn to Him so He can remove anything that may be separating you from intimacy with Him!